DDDDDDDDDDDD Effective management logically follows accurate diagnosis. Such logic often is difficult to apply in practice. Absolute diagnostic accuracy may not be possible, particularly in the field of primary care, when management has to be on analyis of symptoms and on knowledge of the individual patient and family. 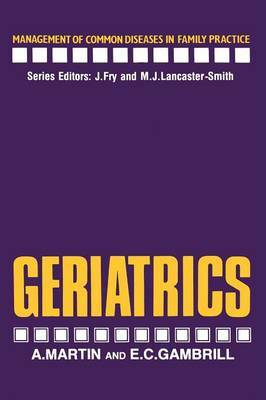 This series follows that on Problems in Practice which was concerned more with diagnosis in the widest sense and this series deals more defini- tively with general care and specific treatment of symptoms and diseases. Good management must include knowledge of the nature, course and outcome of the conditions, as well as prominent clinical features and as- sessment and investigations, but the emphasis is on what to do best for the patient. Family medical practitioners have particular difficulties and advantages in their work. Because they often work in professional islation in the com- munity and deal with relatively small numbers of near-normal patients their experience with the more serious and more rare conditions is restricted. They find it difficult to remain up-to-date with medical advances and even more difficult to decide on the suitability and application of new and rela- tively untried methods compared with those that are 'old' and well proven. Their advantages are that because of long-term continuous care for their patients they have come to know them and their families well and are able to become familiar with the more common and less serious diseases of their communities.